This foil stamped banner is smaller in size but has the same impact as our larger one. It is perfect for those times that space is an issues. Add your logo, emblem, or wording to make this Custom Foil Stamped Banner unique for your event. Our top of the line Custom Full Color Banner with overlay combines the use of sublimation and foil stamping for those that want to have the most options available in the creation of their banner. 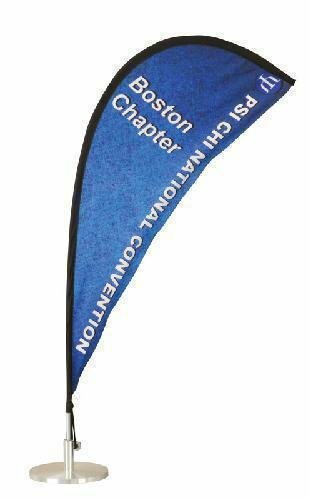 Great for wedding receptions, conventions, or to commemorate any special event, this 18" polyester banner with a table stand can be personalized in full color to your specifications. The banner comes with a carrying case to protect it and keep it clean.